3d Particle System Dll. And It's Pretty Darn Fast! OK, I've finally done it... I converted GM particle system to 3d!!! Thanks to X-tra fear and score_under for unlocking GM's functions so they can be used in a dll, I was able to make a particle system that is almost as fast in 3d as the original particle system. Works in 2d too! Can be used to draw all your 3d models in your game MUCH faster than having a draw event in your 3d object WITHOUT transparency/alpha/interpolation artefacts. A bonuse is you get x,y,z motion, x,y,z gravity, z friction and x,y,z rotation (rot speed) so you may not even need a step event for many of your objects. Adding more support for this feature. Edited by icuurd12b42, 04 January 2012 - 01:37 AM. If it works good on my computer, then there is a massive speed improvement. Even if you used a "hack". I can't download, Host-A seems to be down. Excellent! Nice to see the library put to use. 30 fps - 3000 particles on my mom's crappy laptop. Edited by X-tra Fear, 04 March 2009 - 08:18 PM. The speed is very good for d3d, but the particles look horrible if you don't give them a much higher resolution. where oldtonew can be 0 or 1 right now; 2 will be added to draw from furthest to nearest to camera... I sort of have it working right now by sorting them by distance to cam... But I need to sort by distance to camera plane instead... Later on today I hope to post an update. So, yes, you better use better looking sprites than GM's default because at the distance you can be from the particle, it may turn ugly, much so if interpolate is off and if you don't sort the draw. I will add support for actual 3d objects (d3d_model) eventually. Edited by icuurd12b42, 04 March 2009 - 09:48 PM. Wow, those pics are amazing! Im sure Ill have a use for this sometime. Keep up the great work! If I was able to help you, please click the green (+) icon in the lower-right of my post. Thank you! Born-again christian and loving it! Draw order take the 0 and 1 (GM standard) and 2, Furthest first for 3d mode. Edited by icuurd12b42, 06 March 2009 - 03:33 AM. Are you sure you included the correct dll? Try again... It's the right dll. maybe you got a corrupted extract. Reboot your system too. This is a common GM7 problem with all the dlls I have used and made. When GM starts to complain about a working dll, you basically have to reboot. For GM6'ers: There are things to do after getting the editable LGM'd to gm6. There is in one part constant c_orange used. In many parts there is a constant ps_distr_invgaussian (what is its value?). You can fix this by throwing random values for the constants if you don't happen to know c_orange and that. There are luckily nothing more that'd need to be changed. I ran into the same problems as I had run before with your camera system. It took me some time, but I managed to frame the problem into the few variables that limit the movement variables. I ignored them by doing argument0 instead of median(min,max,argument0) in those parts. And it worked. This is freaking awesome, dude! The particles run amazingly fast (as described), they look like the ones in 2D (just that in 3D), and the engine is incredibly easy to use! I checked out some functions and I was surprised how well and easy you made the function controlling in 3D space. For example that the gravity works using a vector, and that the direction works with the yaw - pitch -system so to say. And if there indeed are equivalents for every single particle function, all I can say is wow. You've also commented the scripts very well, so that this could be used for anyone. I like it. I'll surely know what to point to when someone comes asking again for how to make a 3D particle system. I'll say: you don't need to, it's been done for you, and it has been done very well. I'll most probably use this engine in my future games. And I'd rather not use anyone else's engines, that tells how good this is (and you'll be credited). Perfection! Is there something it's missing? Weird, never had that. In what environment do you compile? XP or Vista? I know GM7 does funny things to DLLs but are you sure it's not a function/memory related problem? Edited by Sindarin, 07 March 2009 - 12:50 AM. As for the camera median problem... I have no clue why GM6 would act differently... So going through all the camera scripts and removing those seems to do the job. Chances are, everyone would have his own cam anyway. It's missing the destructors, deflectors, atractors and changers... But I may add them. Some functions have extented features like the sprite function. I plan to add model support and add a flag to NOT TILT the sprite towards the players but keep it oriented in the orientation and movement direction specified. Distance to cam plane = adj, point_distance_3d = hyp... arcsin and you have an angle cutoff. Works well enough... You can change the angle cut off if you plan to have huge stretched particles. Since the sprite is always oriented to the camera plane, worst case you set angle cut off to 0, you will never see anything appear out of nowhere while turning arround. Anything behind the cam will still be cut off. It works because, again, of the spite orientation. So I dont need to take the size of the particle into account. With models, it's will be different though. 1) If I convert a gm6 example with a dll, and forget to save as gmk before runing, I have a 30% chance of getting this error.. And I am screwed for any other gmk that use a dll. 3) I also have the error reported eroneously, clicking ignore and many times the dll was actually loaded and the game works fine when passed the errors. 4) MS compiled dlls that require undocumanted dll not everyone has one their system... That, my dlls do NOT suffer from. Edited by icuurd12b42, 07 March 2009 - 01:28 AM. I just moved the folder from my Desktop folder to a folder in my external drive and it worked. It's like the dll cannot get directory names like Desktop, My Documents etc. I had the same problem when running GM games under Japanese locale and GM could not return the filename because Japanese Windows uses the Yen symbol to mark path slashes. I currently have Greek locale on but I have no problems with other GM games or dlls. Maybe change the language in the version info of the dll or something? Btw, this is really good looking and fast! I have yet to figure how to make Devc++ compile resource (.rc files) under Vista (A bug) to insert version info and stuff... Do me a favor, can you try any of my other dlls? Like the GMBinFile or even the GMFMODSimple.gmk and tell me if they have the trouble (links in tools in sig).... They should if the reasoning is right here. In any case, directory stuff, that is beyond what my dll does. So the error must be with GM failing to see the dll to load it... Are you sure other dll gmks work? From the same folder mine failed? Changed the dll to use doubles all over instead of floats (GM was triggering silent floating point exception and would exit it'd own draw leaving the game running without updating the screen). So it should be a little slower now. Edited by icuurd12b42, 07 March 2009 - 08:00 AM. Absolutely fantastic. Works beautifully and very fast. Aren't the particles drawn with the GM D3d? If yes, then is stunning how many things can GM actually draw in a 3d space. There was constant fps of 30 even with 3000 particles drawn on screen, and 6k total in the room. Thou there is some blending problems, I know that it is a GM problem thou. 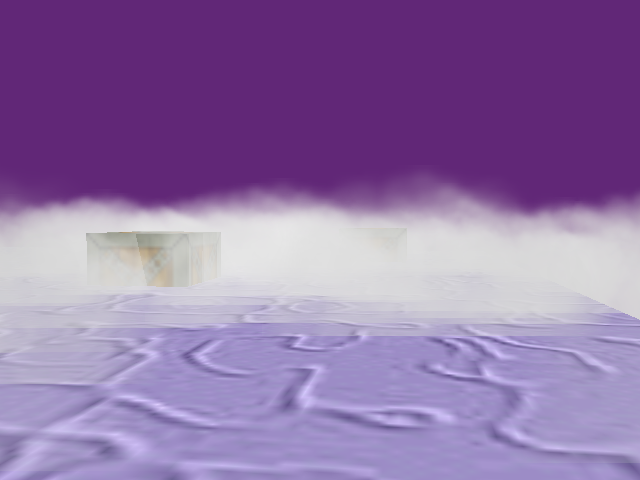 Like the smoke cloud in the sky blends beautifully with other particles, but the fog on the ground sometimes makes particles behind it disappear. Absolutely fantastic. Works beautifully and very fast. Aren't the particles drawn with the GM D3d? //This functions draws the particles in the system. You only have to call this when drawing is not automatic. It should be called in the draw event of some object. Thou there is some blending problems, I know that it is a GM problem thou. Like the smoke cloud in the sky blends beautifully with other particles, but the fog on the ground sometimes makes particles behind it disappear. There's alot useful information in the comments. Absolutely fantastic. Works beautifully and very fast. Aren't the particles drawn with the GM D3d? If yes, then is stunning how many things can GM actually draw in a 3d space. There was constant fps of 30 even with 3000 particles drawn on screen, and 6k total in the room. This is covered in the documentation... If you have multiple particle systems they will interfere with each other, Just like GM particle system (I think) but this becomes more obvious in 3d. Splitting the effects in multiple system allows for faster and many tiny systems each with a decent number of particles, say a camp fire on the far side of a map, fireworks on another, as long as they are not close enough for their particles to intermix, it's a good setup. But the demo room is small enough to see this intermixing, sortof to show the problem of such setup and make you aware of it. Edited by icuurd12b42, 08 March 2009 - 08:56 PM. Edited by icuurd12b42, 09 March 2009 - 05:22 AM. Someone send this guy a cookie, he deserves it. It's very likely I will use this in a game I'm creating, if I get past creating the engine. U3D and X3D are very nice 3D dlls, the only problem is that they draw over game makers window, so all drawing has to be done in them, no d3d is possible. But this, this just draws the particles directly onto the screen using d3d. If somebody made a 3d dll (such as U3D) that drew directly on the screen (such as this), so that it allowed d3d use but drew using a faster method (such as Dx9, or openGL) it would be AWESOME! Anyways, hope you continue to make awesome 3D dlls like this, and that there are a few updates. My next game is probably going to use this. I can get a few thousand particles going without much trouble. Edited by mechanikos, 18 March 2009 - 12:20 AM. But simply rotating the particles to the camera doesn't suddenly give them any z-movement, do they? And where pre tel would you perform this call. Before the drawit call? And how about proper sorting of each particle so they draw in the right draw order? The depth of the particle system would likely match the z. But yes, no z movement. NOTE: Now that one of the particle is an actual 3d tank model, The demo, if you tried the older sans tank model, will be a bit slower. You can change the tank particle to a regular sprite particle if you want to compare with the original. NOTE: Also the particle destroyers, and deflectors now present in the demo will decrease performance from the original. Do note that if you have no destroyers or deflectors, the performance will increase drastically. I forgot to say, Source Included! Edited by icuurd12b42, 23 March 2009 - 09:29 AM. I thought this was really fast when I first saw this but its 30% faster now? Just an update thingy on the path problem. Yes, it seems that many dlls have path problems at some time with GM. I don't know the cause of it yet but still restarting fixes the problem. Never seen this happen on XP though. I am currently on Vista. Aside from that the dll works. And works really good. I managed to get about 3000 particles with no fps drop. It's a mistery (apart from the points I enumerated). At least it's intermitent. I added a spore like galaxy just for fun. From the vid it looks awesome and pretty fast. I'll be sure to use this once I really start making 3D stuff. The hud object's depth is -10000000. For the most part, I think its pretty much set up just like your demo gmk. Obviously the hud object wasn't there but if its drawn after anyways, shouldn't it draw over the particles? What could the problem be? Confusing, but I had the same problem with other tools. I always include the source code. That way the work can go if anything happens. With people getting it and if in a few years I am gone, and the links go dead, at least people who downloaded it can send it to people who ask for it. Sounds grim but there are a few dead links on the forum with interesting stuff. Also it gives you the option to mod it to your own specs. I have a "how to make a dll" tutorial here and in the faq forum too. Edited by Keysle, 16 July 2009 - 09:32 PM. Glad I put in that hud problem post... And glad you obviously found it. OK, describe what you need (your problem). 'cause I thought I knew but obviously don't now. the particles are not being drawn correctly. They appear to be behind in the background. How would I go about making a HUD? Have you made a Display Menu (HUD) over this 3D particle technique? Or are you trying to draw 3d particles over the hud? I'm confused. Edited by icuurd12b42, 17 July 2009 - 05:16 AM. Directly from your example I have tried to make a HUD. set the depth to your hud to -10000000 to make sure it's drawn last and not in the middle of the particle effects samples, because I move them arround the depth layer (which you don't need to do if you use the same system for everything). Edited by icuurd12b42, 17 July 2009 - 06:32 AM. EDIT: your new ZIp File is not unzipping with files in it.. I will give big credit! is it possible to change the the particle colors? Edited by Keysle, 17 July 2009 - 04:05 PM. Of course. It has the same features as GM's particle system so use GM's help to know what to do + compare with the 3d equivalent to make sure there are no differences from the original. It's well documented in the scripts' comments. ,number) This functions creates number particles of the indicated type at postion (x,y) in the system with the indicated color. This is only useful when the particle type defines a single color (or does not define a color at all). part_type_color1(ind,color1) Indicates a single color to be used for the particle. part_type_color2(ind,color1,color2) Specifies two colors between which the color is interpolated. part_type_color3(ind,color1,color2,color3) Similar but this time the color is interpolated between three colors that represent the color at the start, half-way, and at the end. part_type_color_mix(ind,color1,color2) With this function you indicate that the particle should get a color that is a random mixture of the two indicated colors. This color will remain fixed over the lifetime of the particle. 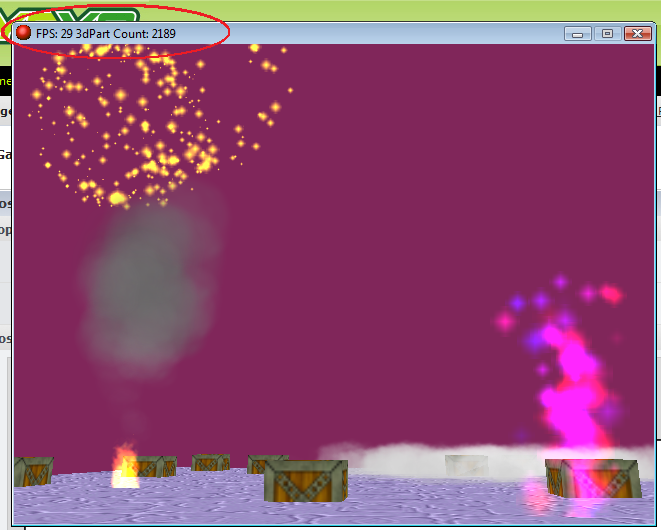 max) Can be used to indicate that each particle must have a fixed color but choosen from a range. You specify a range in the red, green, and blue component of the color (each between 0 and 255). max) Can be used to indicate that each particle must have a fixed color but choosen from a range. You specify a range in the hue saturation and value component of the color (each between 0 and 255).